Add 25 or 45 Tension Grommet? Add .187 to 5-pin Conversion Harness? Add SDL 301 Tekken Actuator? The Crown SDL-301-DX represents Samducksa's latest joystick lever evolution, merging the sensitive control of industry standard Sanwa JLF, and the increasingly desired appeal of the Korean lever. This time, the company aims to make the lever more accessible to lower profile Fightsticks by adjusting the height of the shaft and actuator. 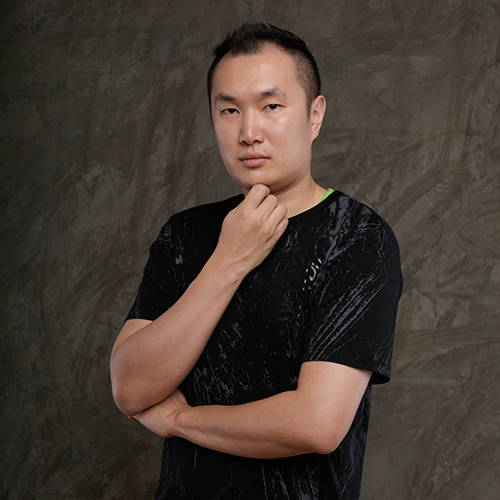 More commonly recognized as the INFILTRATION lever, the renowned Korean professional player lent his experience and preferences to develop the SDL-301-DX into a lever that he would personally utilize in fighting game tournaments. The lever features a removable battop design, allowing for interchangeability with other battops - a first for Crown. You can utilize Sanwa compatible battops for customization. Please note: from our tests, we found that ball tops are not compatible; among other factors, the included shaft cover does not extend all the way to the balltop. 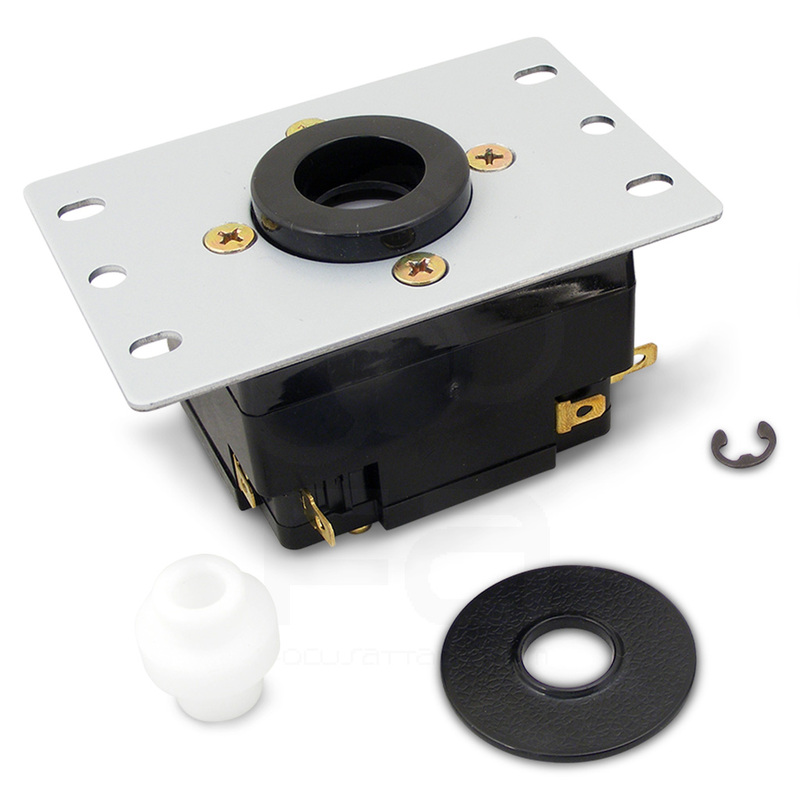 The SDL-301-DX also adopts the MJ style low-profile collar, allowing for compatibility with most Japanese SS joystick mounts commonly found in Fightsticks. This places the lever just a few millimeters below the panel. The low-profile collar corrects some of the control issues that are found in earlier models such as the 303-FK, which removed the collar altogether. In 2017, the SDL-301-DX debuted with a low profile collar, similar to the Crown CWL-309MJ-KMS-ST25 Joystick. While this and its Japan-friendly mounting plate indeed allowed the Korean lever to fit in a number of Japanese-style enclosures, its shaft height still posed challenges to lower profile Fightsticks. Often the shaft would scrape against the inner housing, which affected play. The recent 2018 model aims to address this issue by reducing the shaft height by 2.3 millimeters from the bottom. The actuator is also .95 millimeters shorter. This places the shaft further into the housing, which should provide better clearance for lower profile Fightstick enclosures. As always, it is helpful to check specifications to ensure proper fit in your specific model. Spec illustrations are available for review below the comparison chart and in the photo gallery. Another departure from Korean levers is the SDL-301-DX's default use of an octagonal gate. Octagonal gates are designed to allow smoother circular control while retaining a defined corner you can feel during play. Samducksa's model is a hybrid of circular and square control, with a very subtle corner. This helps to retain the authentic feeling of a Korean lever, while introducing something new and uncommon to the line of joysticks. The gate is secured by 8 long screws, and removable. Available separately is the Crown SDL-301-DX Round Restrictor Plate, which offers the more common circular control of a Korean lever. The SDL-301-DX-S contains a 35A shore tension silicone grommer. Available for purchase separately are two rubber grommets - the white 25 tension and red 45 tension. Higher tension offers quicker return to center, while also catering to those who simply desire more tension when playing - similar to our Sanwa JLF 2lb and 4lb springs. On the other side of the spectrum is a lighter tension that is closer to Sanwa's JLF joystick lever, which remains a player favorite within the industry. 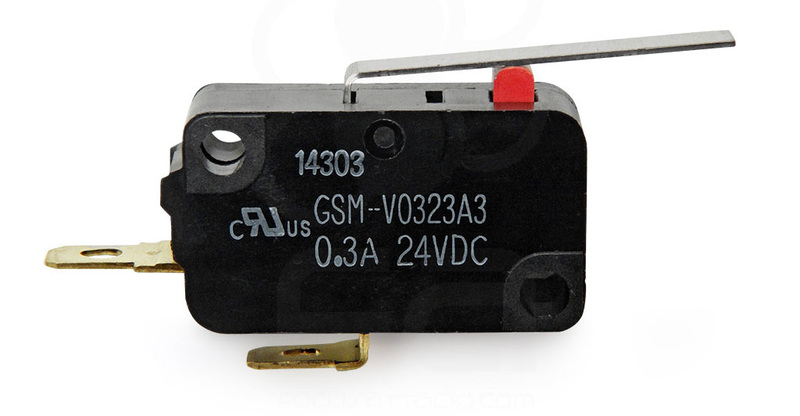 Each SDL-301-DX utilizes the Gersung GSM-V0323A3 microswitch. This earlier model remains a solid choice amongst players, with a slightly higher tension which works well with the 301's softer 35A shore grommet. Will it Fit My Fightstick? Please review our Support tab for install instructions. 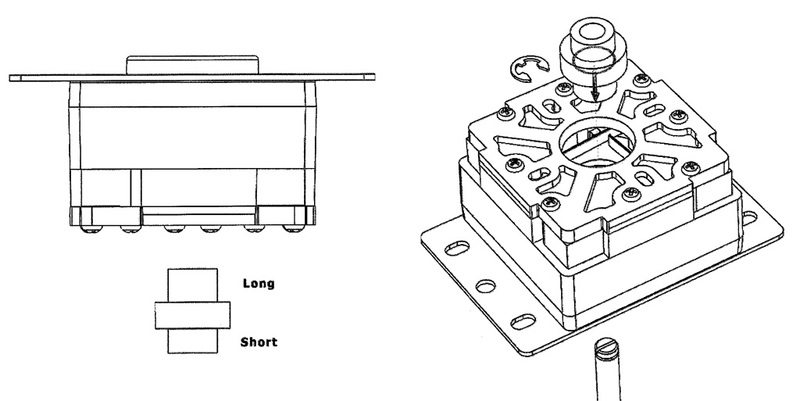 The SDL-301-DX-S requires partial assembly. Please refer to the instructions below for proper orientation of actuator and e-clip. The crown 309 is better. Premium price but a quality product as well. The price is hard to swallow but I am pleased to report the build quality is high. The actuation of the switches is crisp and the corners are easy to find. The reversible actuator for a longer or shorter throw is a nice bonus as well. The shaft is long and feels very sturdy, although it doesn't help make this already very tall joystick any shorter. I do think the restrictor plate is kind of superfluous. You will need a very light grommet or some serious manhandling to ever actually ride the gate on this thing. The restrictor does act as an additional support for the switches so I don't recommend removing it either. Crown's best stick so far. OK up front it is important to realize that this review has to be weighed against your general feelings about K-sticks. If you have used Korean style lever and already know you don't like them this still might not be for you. In that context, this without a doubt Crown's finest most versatile lever. Out of the box, The beauty of this particular lever is that it is essentially a fanta airbag configuration right from the factory. The majority of thing things you would normally mod about Myoungshin or Taeyoung stick are done by the factory here. The result is a responsive rock solid lever that quite frankly rivals it's Sanawa and Hori counterparts. This is a long way from the 303. Personally, I changed it to a 60A grommet (available on this site) and added the Myoungshin standard Gersung switches (also available on this site) to create a defacto Myougshin Fanta Airbag configuration and the resulting stick was then installed into a vewlix (which it fits perfectly, no issues at all), even with the more firm grommet I never missed a single diagonal from the word go. Having assembled two custom fanta airbags in the past from stock 307 Crown's I have to say the set up out of the box on this is fantastic lots of performance very little labor. Additionally, those of you who may have done the same type of modding to Crown's may notice Crown has fixed the "wiggle". The tiny bit of play that used to be able to be seen in their collarless models whenever you picked the stick up and moved it around. It is a small complaint but it made them look cheap and loosey-goosey even when they were solid and precise. Lastly the inclusion of changeable tops. really nice in theory...pretty cool in practice. The treading is much tighter on the non-stock tops and you will need to take care when threading it but otherwise a nice inclusion.